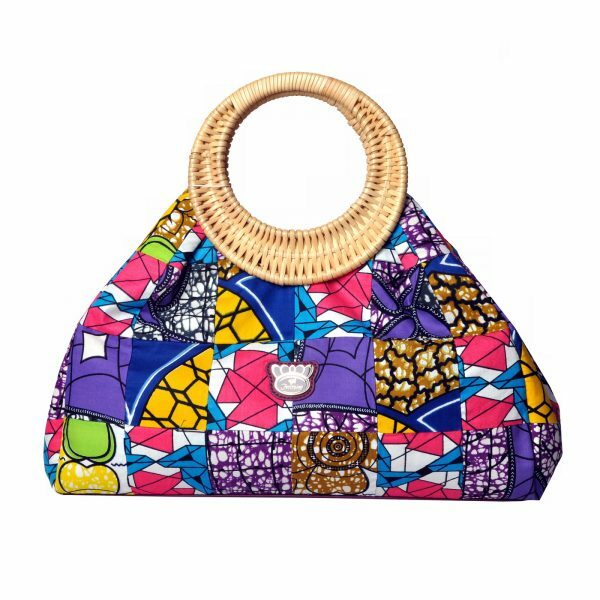 The crown jewel of our Wax Fabric Exotic Bag Series, this special Exotic Bag is truly unique in every way. 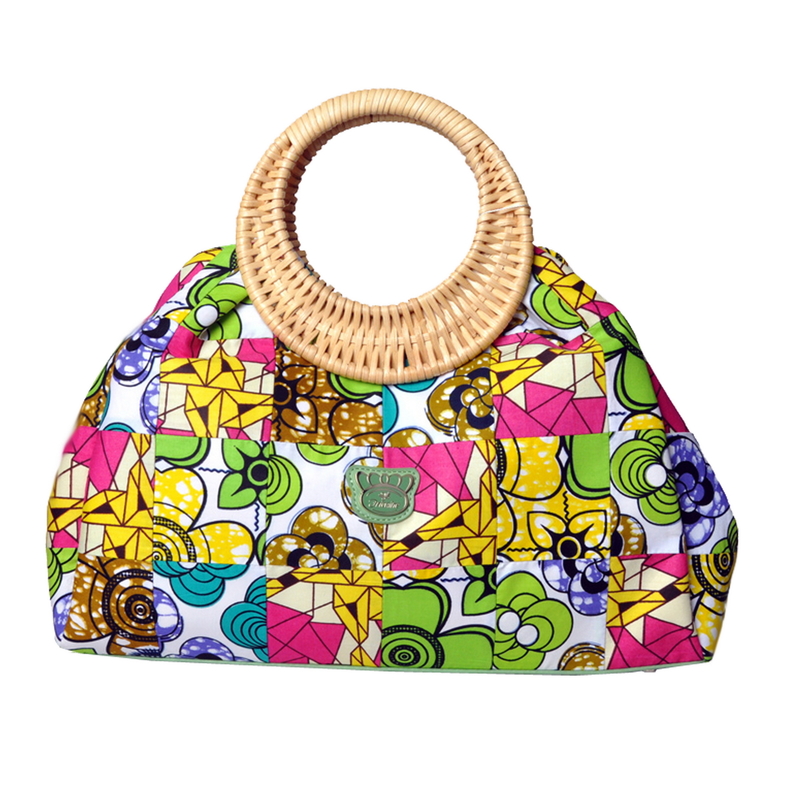 Project an alluring, sophisticated and exotic look with the unique design of this Fricaine handbag. Hand-made handle from natural botanic rattan meshes with the body made from 100% cotton using special wax printing technology. 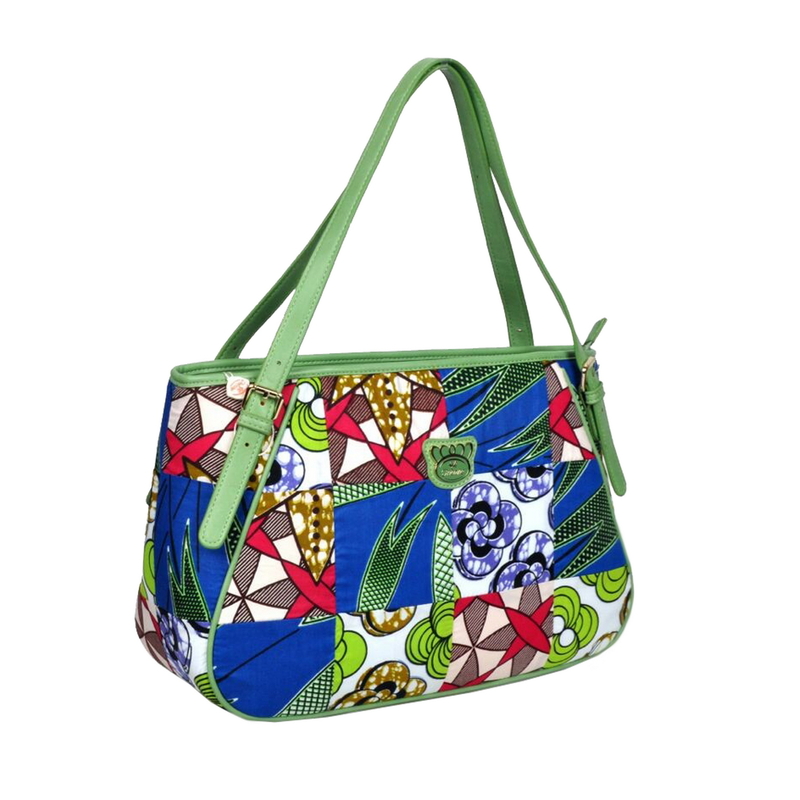 Four (4) distinct wax fabric patterns were combined to make this roomy, eye-catching handbag. It has one card pocket, one cell phone pocket, one drop pocket and one separate multi-purpose pocket. Dimension: 18"(L) x 9"(W) x 12"(D) Handle Drop: 6"
This is my first Fricaine bag and it is a winner. I love the vibrant color, it’s sturdiness, unique shape and light weight. The two inside zipper pockets plus cell phone pockets makes for easy organization. 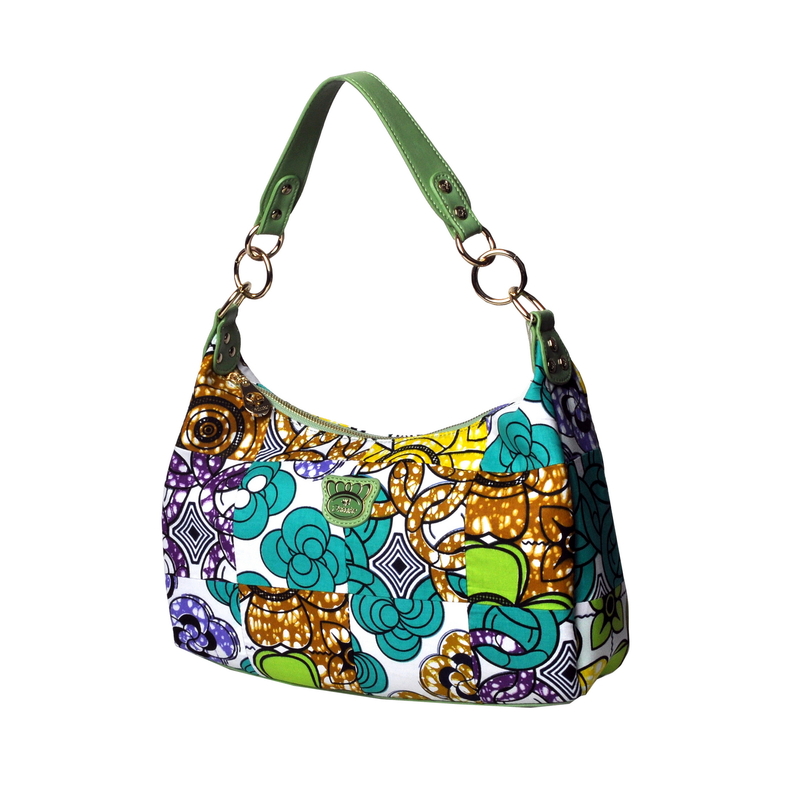 I always appreciate a purse in which I can carry all my things–make up, checkbook, wallet and more. The leather bottom and beautiful hardware on zippers and bottom is a welcomed addition also. Great easy to hold handle! Love it!!!! This is my very first bag from Fricaine. I absolutely LOVE it!!!! 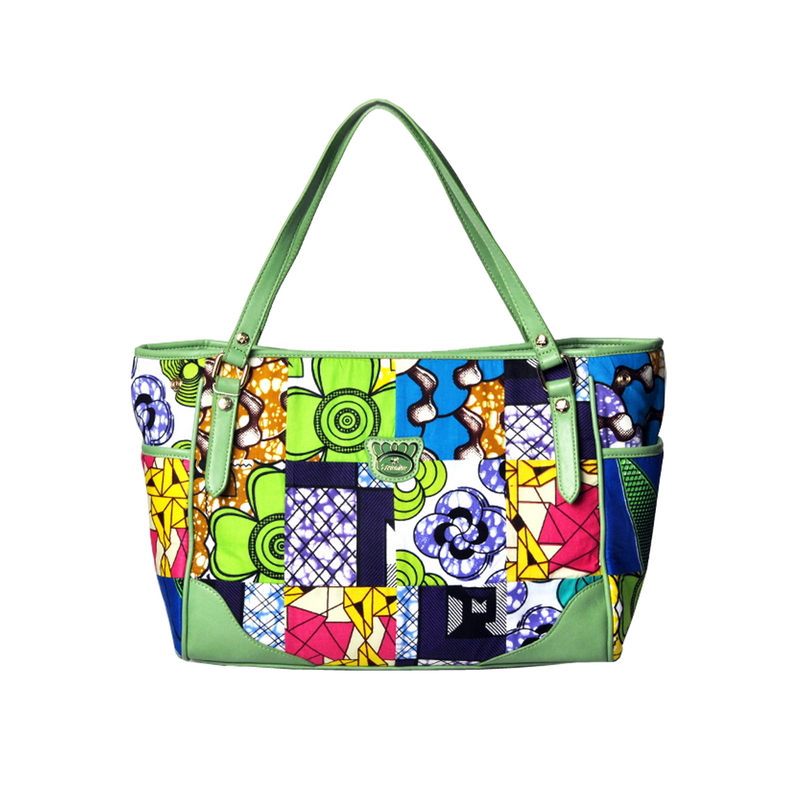 It is the combination of all my favorite colors in one bag which makes it easy to carry with almost any outfit. The inside is very spacious. The two zipper compartments is the best feature. I get compliments every time I carry it. It’s definately a conversation peice.